I hope everyone had a lovely Christmas and a well earned break. I can now show you some of the presents that I made this Christmas. 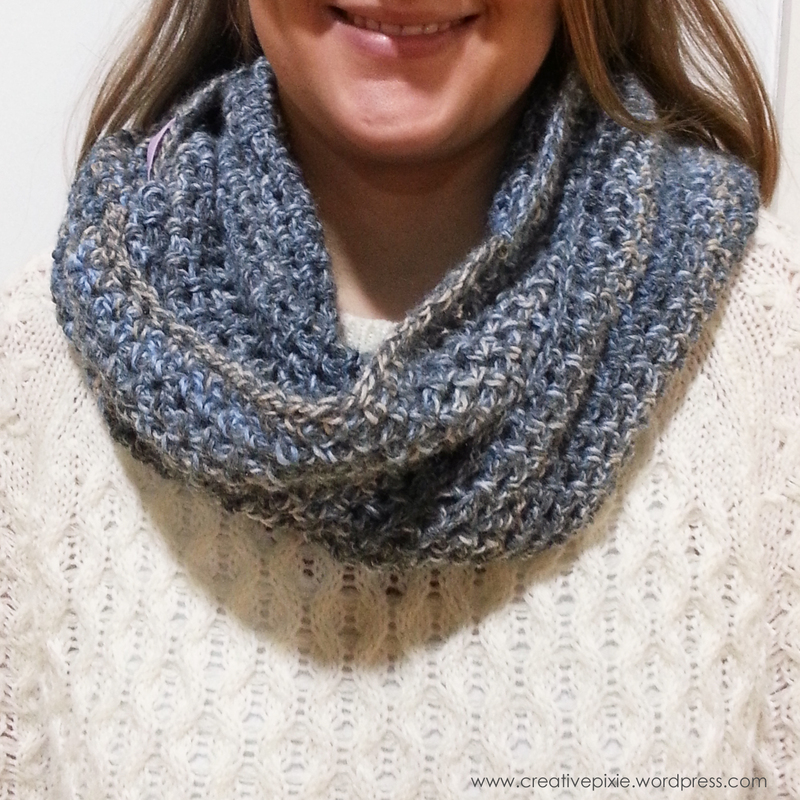 I made an infinity scarf out of James C Brett chunky marble yarn for my sister. 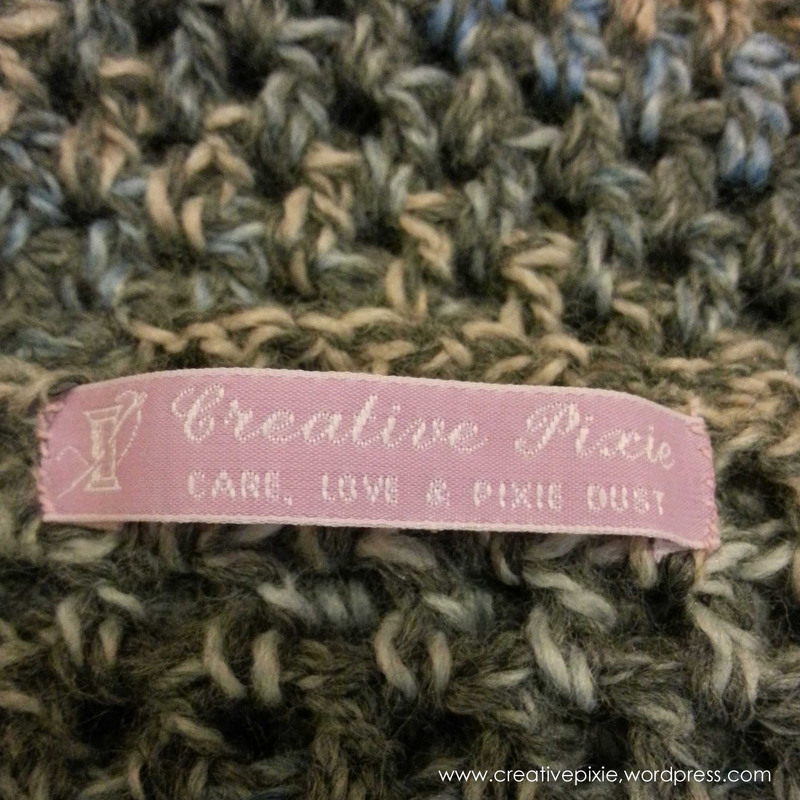 Here is a close up complete with one of my labels. 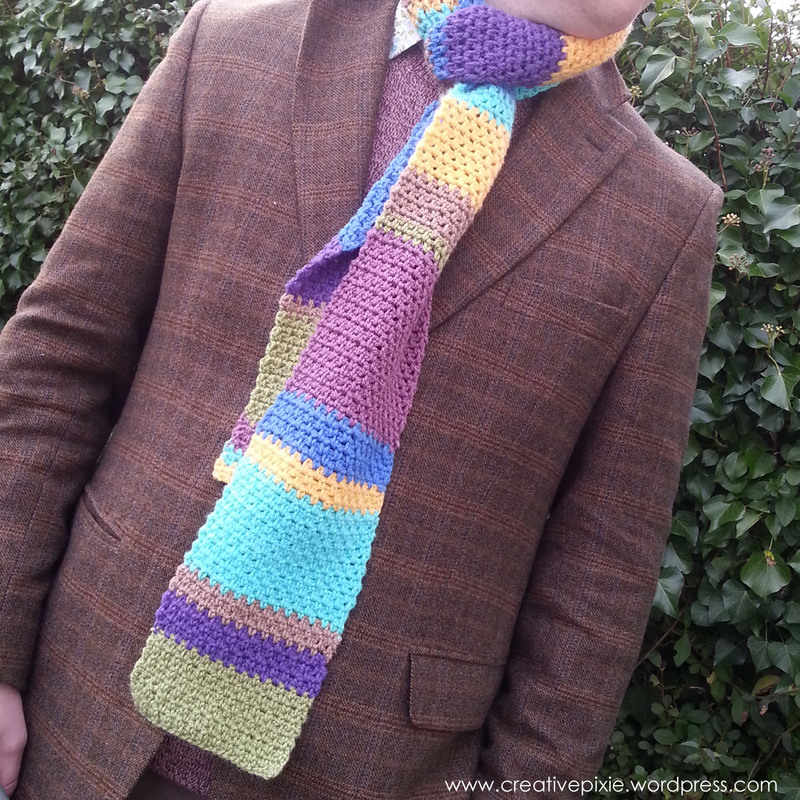 My husband had requested I crochet him a ‘scarf of many colours’. Well he got what he’d asked for – ha! I could only work on it when I was at my parents house waiting for him to finish work. 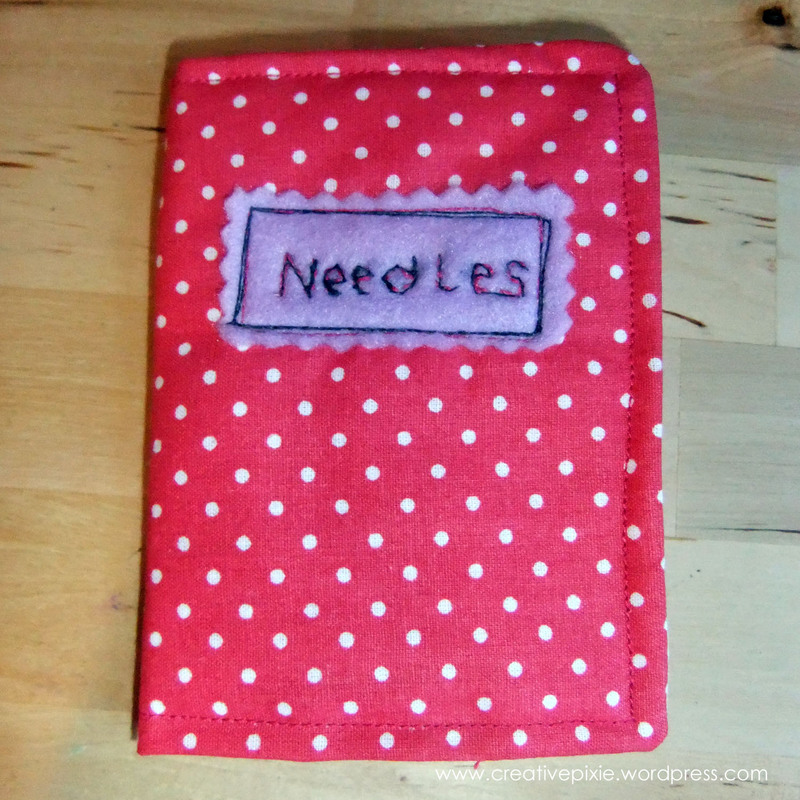 For my friend Vicki (a keen cross stitcher) a made her a needle case. 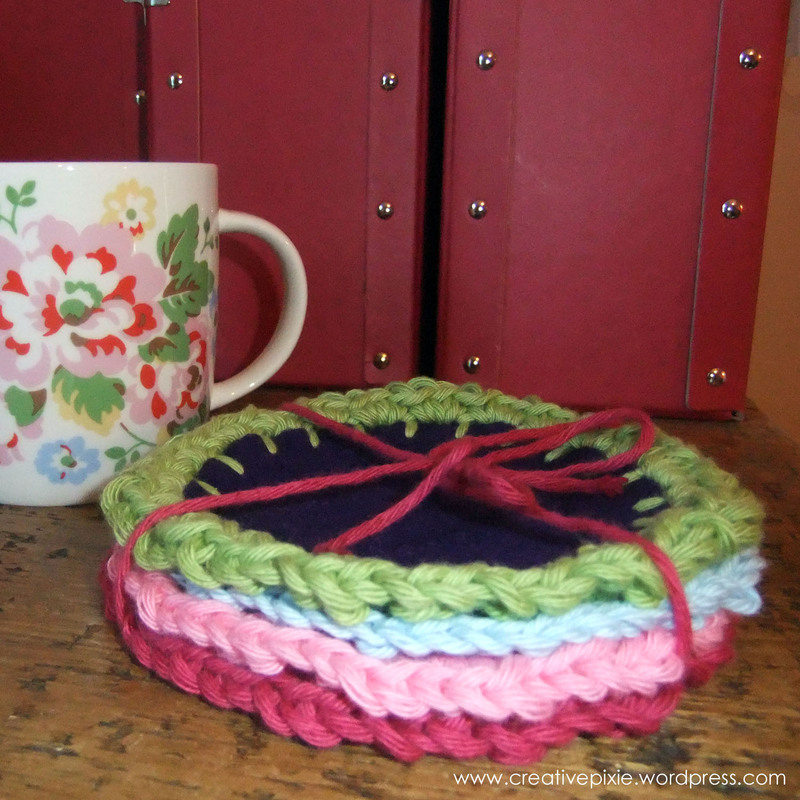 For Miss P’s teacher I made some felt/crochet coasters. I like to hand make teachers gifts as they can only eat so many boxes of chocolates. 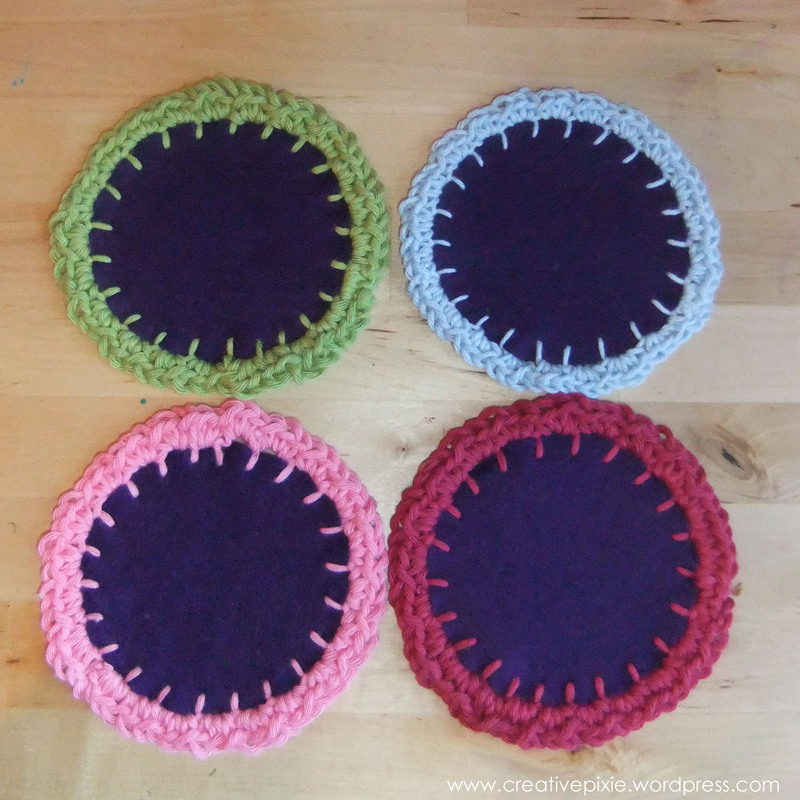 I like the colour combination of these 4 and may make them again for myself. If you’d like I could post a tutorial on how to make them? I was blessed with many beautiful gifts (Cath Kidston and Kirstie Allsopp products included) but I’ll not take up any more of your time with any of that stuff. I did however treat myself to some gorgeous nail polish (followers of my Facebook and Twitter feeds will have seen this already). Beautiful isn’t it! I love this photo, who’d think my fingers/hands could look so good. We’ve mostly spent Christmas/New Year at home. The weather has not been good, there have been storms and floods but thankfully we’ve not lost any electricity. 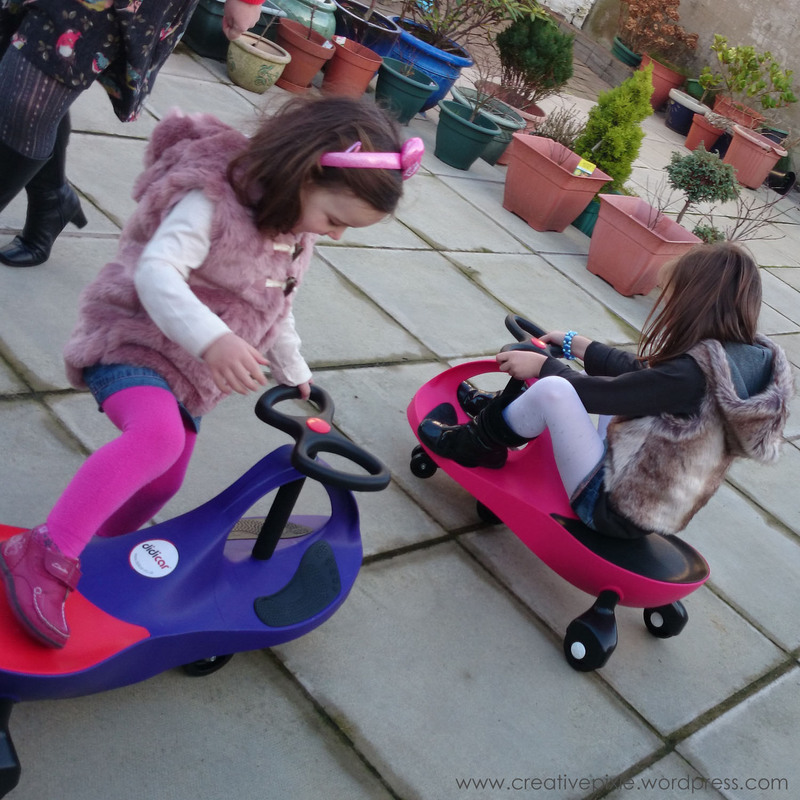 We did get out on a couple of dry days and the girls have had fun with their Didicar Christmas presents. 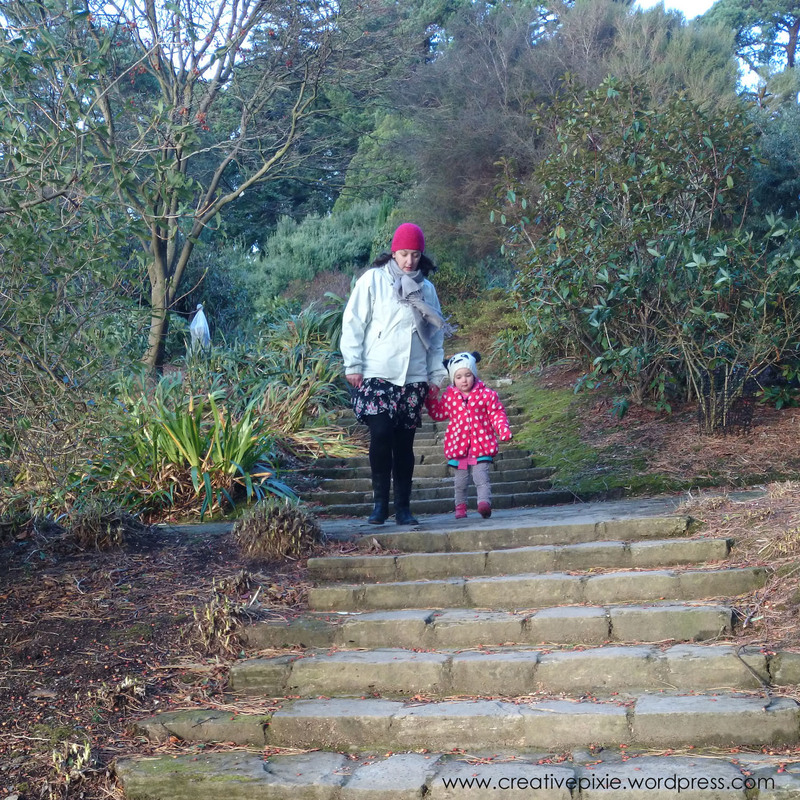 So while I’ve been stuck indoors I’ve been thinking about my blog and what I want to do with it this year. I’d like to post more regularly (will maybe have to set posts to publish for the future) and have some regular features, the first of these will be a regular post called ‘Make-It Monday’. I’m really looking forward to what 2014 holds for my blog and and hope you will follow me through it all. ps. don’t forget to follow me on Twitter and Facebook. I’m really enjoying chatting to some of my fellow bloggers in real time. Thanks, I didn’t make as many gifts as I wanted too (I just didn’t start early enough). The labels were a surprise birthday gift from my husband earlier in the year. May your new year be happy, healthy, and prosperous. Thanks Marianne, I hope you have had a great start to 2014. P.S. Make-It Monday sounds like fun…looking forward to it. Love the labels Jean! A very productive Christmas! I’m hoping that it’s not too difficult to take off. Happy new year to you and I hope you enjoy the rest of your school holidays. Gorgeous makes and gorgeous nails Jean! 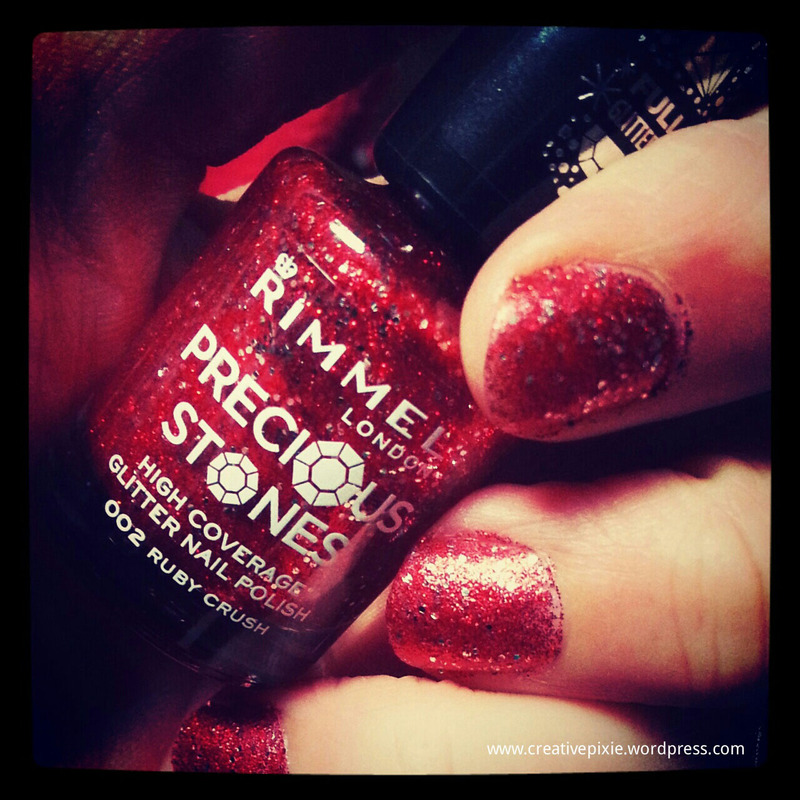 Hope it isn’t too hard to get off – sometimes the glitter ones can be really stubborn! Looking forward to all the future posts. Good luck with 2014. All of your handmade gifts look lovely. Beautiful pieces — I’m sure they were all happily received! Ooo, looking forward to Make-It Monday – that sounds really good! Best wishes for 2014 to you and yours.